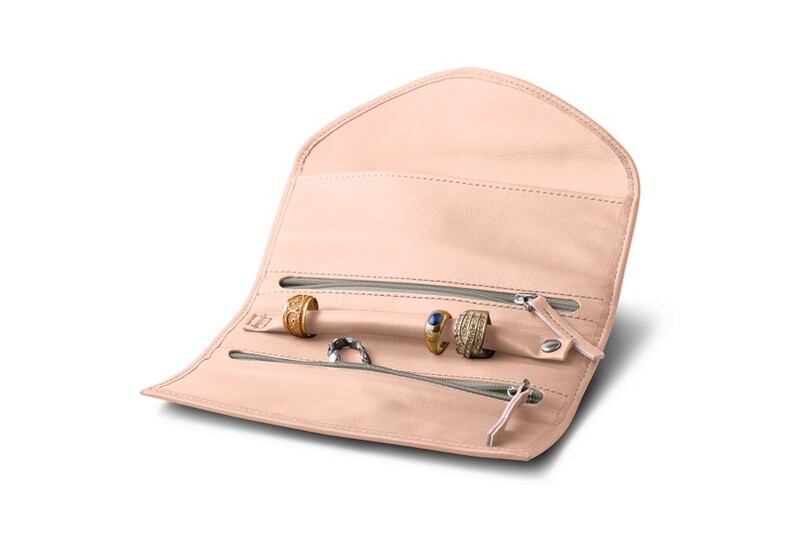 Organize and carry your jewelry discreetly and stylishly with this travel jewelry roll. 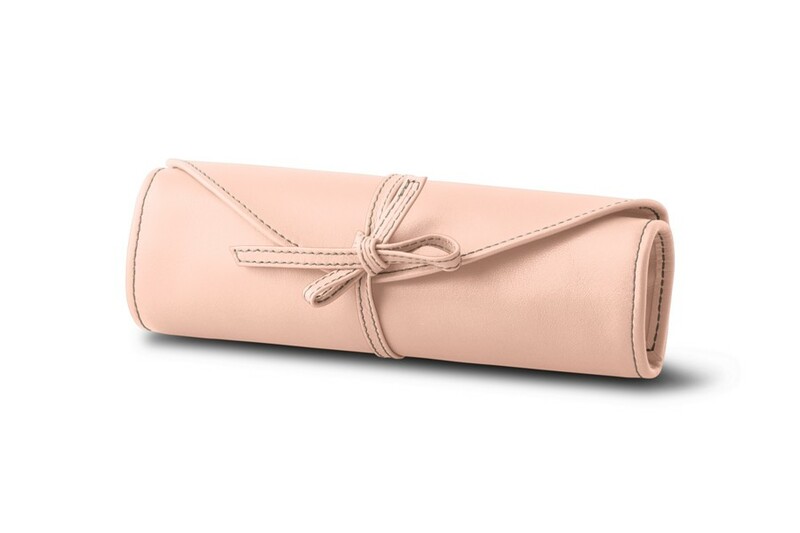 This jewelry and watch roll is crafted from genuine leather. 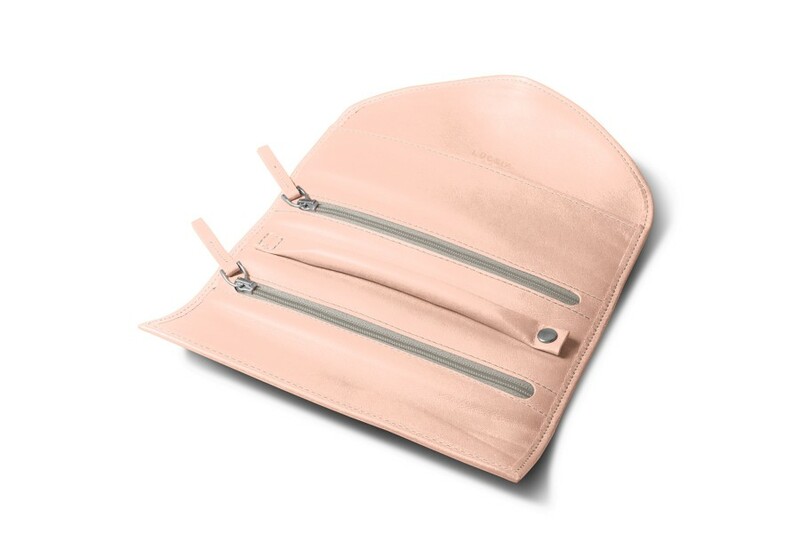 Two zipped flat pockets keep your bracelets or other chains safe and secure. A padded cylinder, which is attached on one side and closes with a snap button closure on the other, keeps your rings organized. Lastly, a large flat interior pocket can be used to hold a necklace. A beautiful gift to customize for the special woman in your life.